Influence from exhibits at the 1925 Paris Exposition dominated the work of furniture and interior designers and decorators throughout the 1920's and 30's. 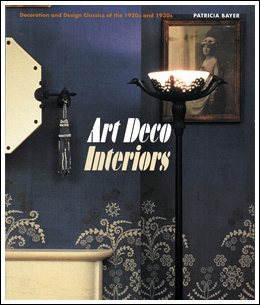 Using photographs and illustrations of interiors, juxtaposed with modern photos of individual pieces, this book traces the stylistic evolution and dominant motifs of Art Deco interiors. Chapters feature elegant homes, ocean liners, hotels, theaters and offices. 224 pages, TP, 9" X 11" over 300 illus.